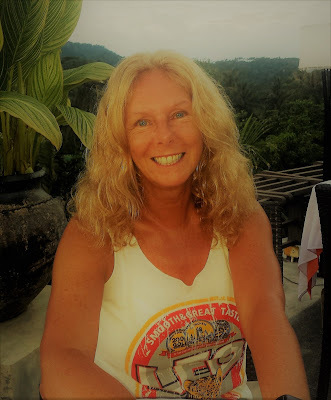 Janice Horton - author of romantic adventure novels: A big change of plan…. A big change of plan…. Right now, I’m in Bucharest, Romania - yet in my last travel related post here on the blog we were back in Thailand - and I’d indicated that we planned to stay in Thailand for the foreseeable future. Well, it seems that I spoke too soon! We returned to Koh Tao Thailand in the early part of February 2017 after dashing back to the UK on hearing that Trav’s mum was gravely ill (you can read about our bittersweet month back in the UK by clicking HERE) but then soon accepted an invitation to help a friend in the initial setup of a new diving venture in Eastern Europe during the spring and summer of 2017. It seemed like a great opportunity and an exciting venture. 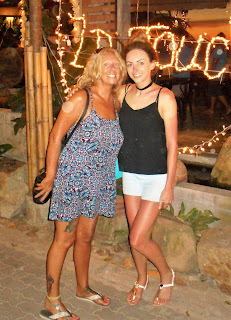 But before we could leave for Bucharest, we still had some time to settle down and to relax and to honour the diving commitments we still had on Koh Tao. Plus, we were looking forward to our lovely friends Jenn and Gregg coming over from the UK for a two-week diving holiday mid-March. Also, at the end of March - which would have been our visa-run had we stayed in Thailand - we also had a trip to South Korea planned to visit our son James, his wife Sujeong, our two year old grandson Aaron and our Korean side of the family. So, during the first week of February, exhausted from the highs and lows of the past month back in the UK and from all the travelling, we were more than happy to arrive back to Koh Tao and get back into a routine. We’d kept our rented villa on Ban's Diving resort on Koh Tao while we were away, and we soon settled back into the easy vibe of island life, enjoying the heat and the sunshine. Ban’s Dive Resort on Koh Tao is a large sprawling beachfront island resort. 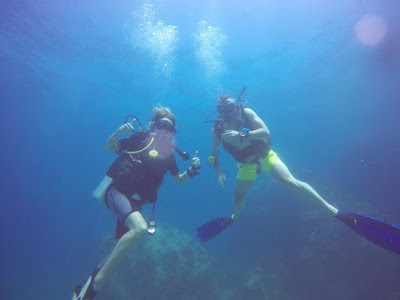 It is an oasis of swaying palm trees with beautiful gardens and many types of accommodations for all budgets – dorms, rooms, villas and suites – and it primarily and very successfully caters for scuba divers. I loved living on the resort and our villa was only a few minutes’ walk from one of their four swimming pools that I used every day to swim and then to sunbathe. 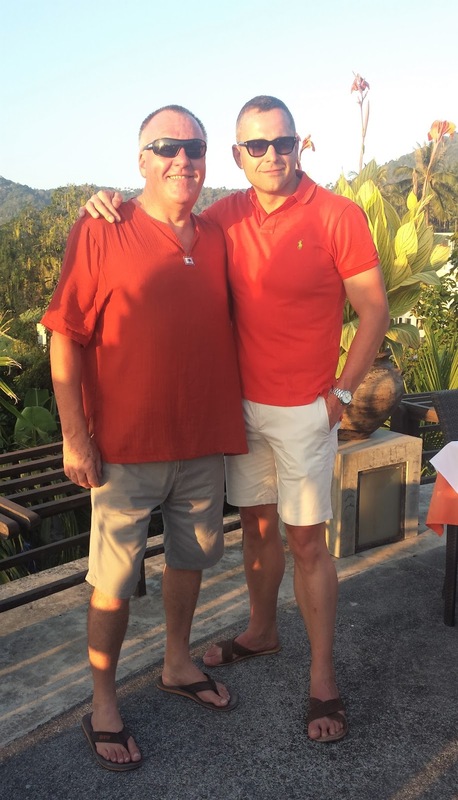 I enjoyed the restaurants and the beach bar too – to meet with Trav and friends for lunch and later for sun-downer cocktails at the Darawan restaurant in the hills or for fun and food and live music at Fishbowl Beach Bar. 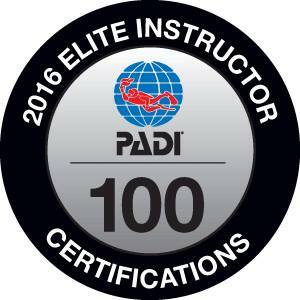 In early march, we were notified by PADI that Trav had earned PADI Elite Status for his work in 2016. As an instructor, in 2016, he had trained and certified over 100 new divers. I am so very proud of him and all he has achieved with his diving. Also in early March, we were invited out with friends to celebrate their birthdays. During this time it was also my birthday. Trav took me out for a delicious meal at a gorgeous restaurant up in the hills. We arrived at sunset to amazing views. The sunsets on Koh Tao are always breathtakingly beautiful. Afterwards, we were able to wine and dine under the moon and the stars. It was a wonderful birthday. Mid March we helped with the resort's official annual beach games. That was a lot of fun. Life was good. The monsoon season was over. High season was just around the corner. The weather was hot and sunny and I appreciated it even more for having been away in the cold wintery UK. Then our friends Jenn and Gregg arrived and we were so excited to see them again. We’d managed to meet up with them in Liverpool back in January but we’d first met three years ago in the Bahamas. They were staying at the wonderful Sandals Resort Nassau and we were staying at an AirBnB accommodation near Cable Beach. 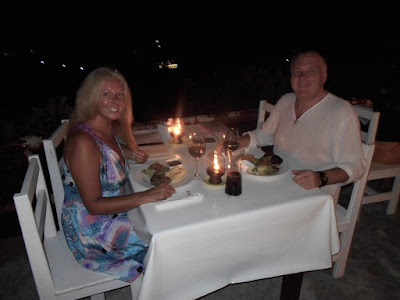 (You can read about our fabulous month spent in the Bahamas by clicking HERE). 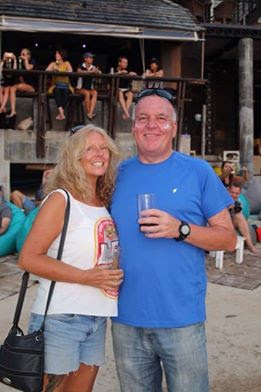 On Koh Tao, Jenn and Gregg were looking forward to doing their PADI Open Water dive training at Ban’s Resort and being taught by PADI Staff and Elite Instructor Trav. They both worked very hard during the classroom and pool training and then we all went out on the Ban’s dive boat, where at some fabulous dive sites, Jenn and Gregg completed their course and became qualified open water scuba divers! During their ten days on the island we had a lot of fun. We ate amazing Thai food from both street vendors and fabulous restaurants. We lazed around the pool and had plenty of time to take trips to explore and enjoy the island. To finish off their holiday in style and for us to further enjoy our lovely friend’s company, we all took an early boat off the island and a flight over to Malaysia to spend a couple of nights in the city of Kuala Lumpur, from where Jenn and Gregg would fly back to London and we would fly over to Seoul, South Korea. 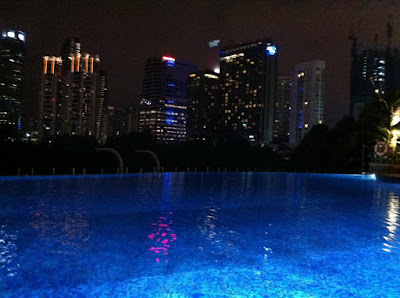 We had a fun and fabulous time in KL. We all stayed at the Intercontinental but also explored other hotels in the city – like the Mandarin Oriental and Trader’s - for the best views of the city and for the (expensive!) cocktails. 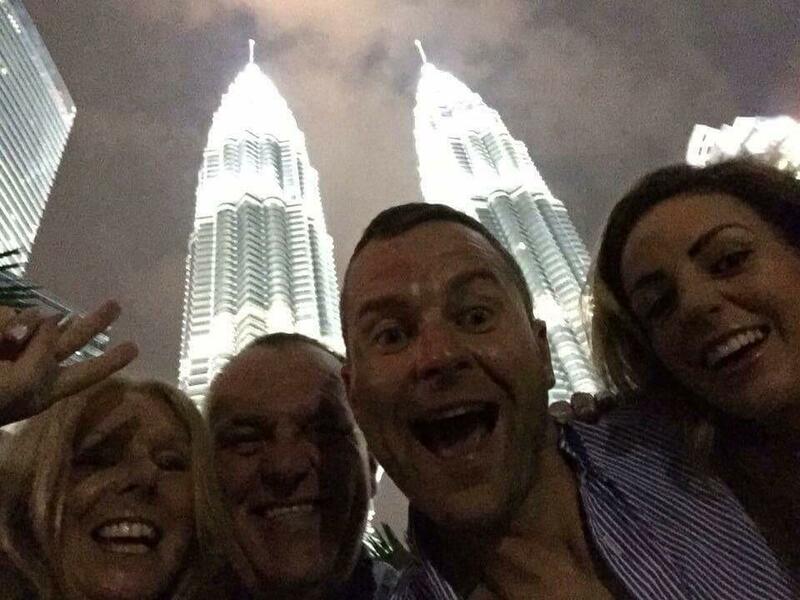 Trav and I now think of KL as our home from home, as we have stayed there so many times over the past couple of years. We use it as our hub to South East Asia in the same way we used Houston Texas as our gateway to the US and to Central America and the Caribbean. But Jenn and Gregg hadn’t ever explored this fabulous city before, so they did more than us this time around, by visiting the Petronas Towers and walking along the famous Skybridge and enjoying all the other attractions. We said our fond farewells to our lovely friends in KL, knowing they had enjoyed their well-earned holiday and that they had achieved so much by qualifying as open water divers. 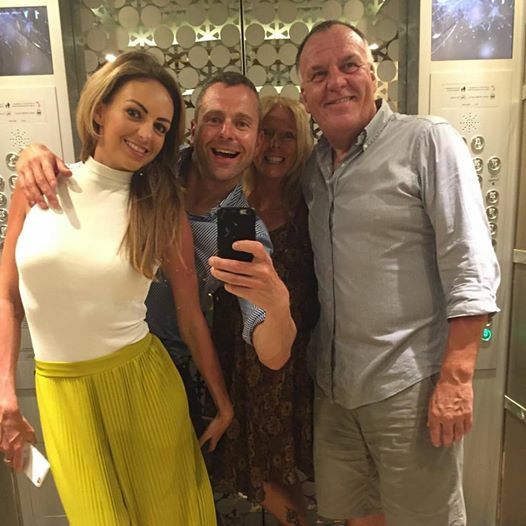 We are sure that we will share many more fun times with Jenn and Gregg in the future – no doubt somewhere in the world at a dive resort! My next blog post will be all about our fabulous week in South Korea, where we stayed with our son James and our daughter-in-law Sujeong. We enjoyed lots of quality time with them and our grandson Aaron, and also with the rest of our lovely Korean family, whom we hadn’t seen for just over a year – and I took lots of photos! Our grandson Aaron is now two years old. Until next time, please do consider signing up for my book news updates. I only ever send out a newsletter when I have writerly news to share, a new book coming out, or special offers and competitions and offers to tell you about. Every new subscriber receives a free copy of my bestselling ebook 'How To Party Online' just for signing up using the form at the top right hand side of this page.